The incident in Niger on Oct. 4, 2017, that resulted in the deaths of four U.S. soldiers and wounding of two more have resulted in changes and adjustments to how U.S. forces are employed in Africa, the commander of U.S. Africa Command said here today. 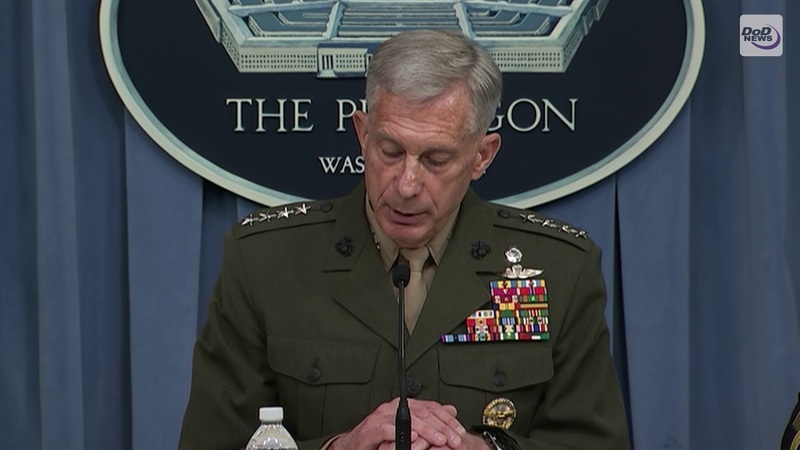 Marine Corps Gen. Thomas D. Waldhauser briefed the Pentagon press corps on the incident and spoke specifically about how the lessons learned have led to changes throughout the command. 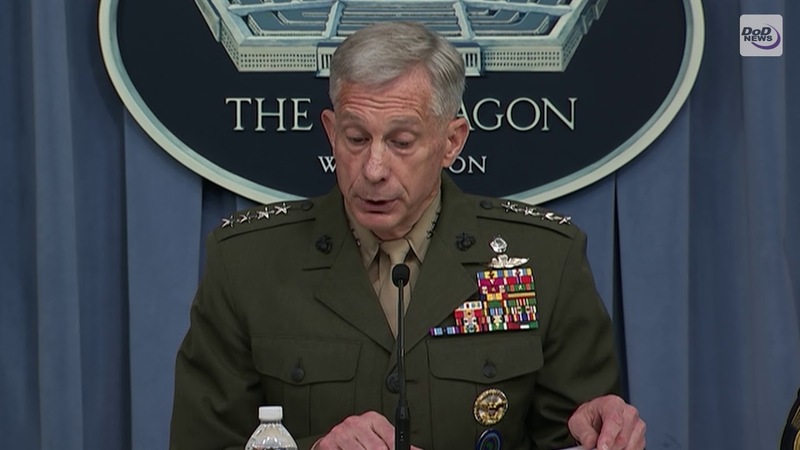 “I will ensure that lessons learned [from the incident] are communicated to all levels within Africom as well as within the component commands, and integrate these changes into our daily operational activities,” the general said. Army Maj. Gen. Roger L. Cloutier, Africom’s chief of staff and the investigating officer, and Robert S. Karem, the assistant secretary of defense for international security affairs, also spoke about the incident and the subsequent investigation, known as a 15-6 for the Army regulation that governs such incident reviews. The process is designed to gain understanding of what happened via interviews with all available witnesses, imagery, reports, physical presence at the scene of the events and much more. Each service and the Defense Department has a similar process to get at the truth and to make recommendations. Waldhauser noted that the command did not wait until the 15-6 investigation was concluded to make changes. Soon after the incident he made changes to mitigate risk and improve readiness for American forces in Africa. Some examples include requiring U.S. service members operating in Africom to understand the intent and guiding principles of the strategic approach when working with allies and partners. “The fundamental principles of this framework are critical to an enabling approach to security assistance,” the general said. The strategy, he said, emphasizes employing U.S. military capabilities in a supporting role to enable African partners to address their own security challenges. “U.S. forces are in a supporting role and not as participants in direct combat,” the general said. Waldhauser has directed additions to the minimal equipment requirements for the special operations teams that work for Special Operations Command Africa to ensure those forces maintain an improved security posture. “This includes increased firepower for force protection,” he said. The general also directed adjustments to the mobility requirements to provide teams additional options for vehicle movement based on terrain, traffic and mission. Waldhauser also directed a comprehensive review of the concept of operations process used by the special operations component in Africa. “The changes following this review now provide clear, unambiguous guidance for submission and approval for partner force operations,” he said. This should clear up confusion surrounding approval authorities and oversight by the Special Operations Command Africa leaders, the general said. The 15-6 investigation into the October incident led to changes in other areas, such as pre-deployment training, force generation, unit transitions, oversight and operational support, Waldhauser said. The investigation found that pre-deployment training and personnel turbulence hampered the unit, he said. It also found that the integration and training with partnered forces in Niger was inadequate. The team did not meet the standards of familiarization and integration with the Nigerien partner force prior to conducting the initial mission on Oct. 3, the general said. The team also did not rehearse immediate action drills before the mission. “The investigation also found the team inaccurately portrayed the concept of operations for the first of three total missions on 3 and 4 October,” Waldhauser said. These shortcomings call into question the oversight of Special Operations Command Africa, he said. Africom, Socom and the U.S. Army will continue to examine the results of the investigation and more as the organizations move forward, the general said. There are about 800 U.S. service members in Niger, DoD officials said. They are there to help local forces build and learn how to provide security. The U.S. military has excellent military-to-military relations with countries in the region and they are helping those nations confront terror groups such as the Islamic State of Iraq and Syria and its offshoots, officials have said. U.S. service members also work closely with French and British forces on the continent.